Feel comfort knowing clothes are sanitized* and 99.9% of bacteria has been removed thanks to an internal water heater that boosts the water temperature*Certified by NSF Protocol P172 Sanitation Performance of Residential Clothes Washers. 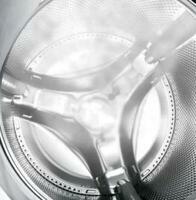 Provides a quick wash for lightly soiled items that are needed in a hurry. Clean 5 of the most common stains with preprogrammed settings that modify any cycle to help remove blood, tomato, wine, dirt and grass. Multiple cycles are designed to specifically handle various fabrics and soil. 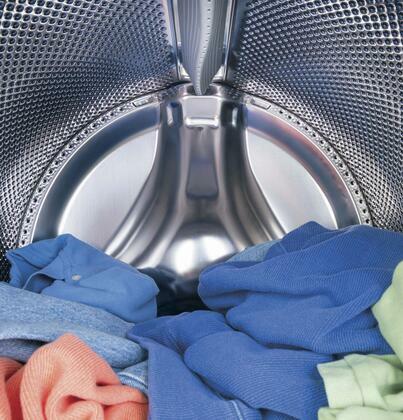 Freshly tumbles your garments periodically for up to 8 hours when unable to move clothing to the dryer right away. 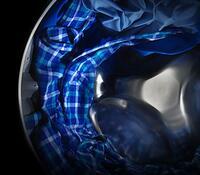 Long-lasting stainless steel finish resists rust and won’t chip, peel or snag cloth. The Stain Removal Guide will help get rid of five of the most commonly researched stains on the Internet by adjusting the water temperature, spin speeds, wash action and soak time for any cycle. The Sanitize cycle removes 99.9% of household bacteria with extra hot water temperature, delivering thorough cleaning and peace of mind. The Americans with Disabilities Act establishes accessibility guidelines for many products. This product meets the requirements for ADA-compliance based on Uniform Federal Accessibility Standards. Of all the Front Load washers I found, it seemed like GE had several of the best ones. This washer does a thorough job and runs extremely quietly. This GE washer isn't what I was admittedly looking for. I just wanted to replace my old one with the exact same model, but it appears to have been discontinued. I picked this one up based on the site's recommendation and some further research at third party sources. It works so much better than I expected. 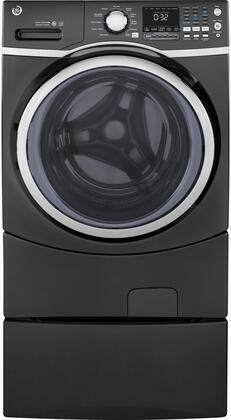 Maybe it’s in my head but my clothes really do smell better for longer after using this washer. 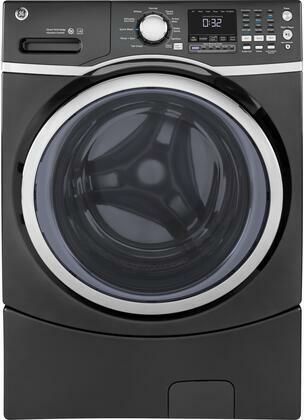 We have this GE Front Load washer and all of the little features like that are really awesome! I just moved into my first apartment and needed a washer. My parents have been using a GE machine for years and it still works great so I picked up the model. It has even more features that accommodate my both formal and active lifestyle. I'm going to stick with GE appliances for a long time. I can't say enough about this GE washer. The chime alerting me that a wash cycle is done can be heard even if I'm on the second floor and the front loader makes it a breeze to transfer loads into the matching dryer. It's little touches like these that make it hard -not- to recommend. We’ve had it for a month or so. Love all of the extra features. Got GE rebates on AppliancesConnection.com. This Front Load washer is definition of perfection. I have never been so happy from buying appliances online. But this thing that I got is magical. I love it! I LOVE IT! large capacity is exactly what I was looking for. I can do large load of laundry at once. 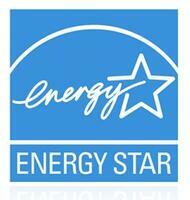 I save, energy, time, and money. I wanted a washer that didn't just work well but also looked good because it would be the first thing I'd see every day coming into the house through my garage. Thanks to AppliancesConnection.com, I was able to find a GE washer and dryer set for a fantastic price! They look absolutely beautiful in my laundry room and work perfectly in cleaning my clothes. I don’t usually leave reviews for products or appliances but I felt compelled to for this GE washer. I didn’t realize how bad my old washer was until I got this one. So much quieter and quicker. I actually feel like my clothes are cleaner if that’s possible.